Buy any set of Chicken Hawk Tire warmers and get a free set of Kneesliders and free shipping. 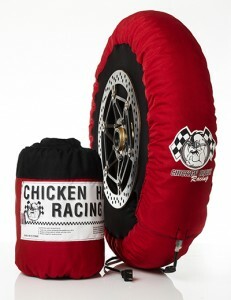 We had two winners for our contest for Roger Hayden tire warmers! Our first winner- Randy Dalmas got the warmers but was unable to attend the races, so we picked a second runner up-Daniel Edmondson and his Fiancee attended the races! 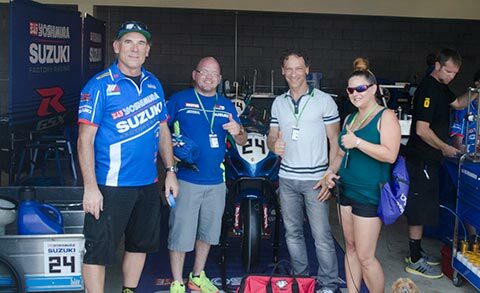 Along with passes for the weekend, we gave Danny & his fiancee a tour of Team Yoshimura Suzuki pits, transporter and garage, spending nearly an hour talking shop with Yosh crew chief Rich Doan. The 2016 MotoAmerica AMA Superbike season came to a close at New Jersey Motorsports Park in Millville, USA and Yoshimura Suzuki Factory Racing ended the year with a bang, victorious in both race. 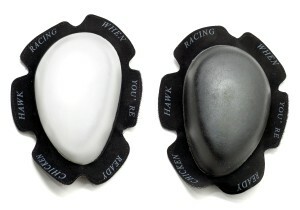 Roger Hayden raced to a thrilling victory in race one. Then it was Toni Elias and Hayden finishing one-two in the final race of the season giving Yoshimura Suzuki a clean sweep on the season finale. 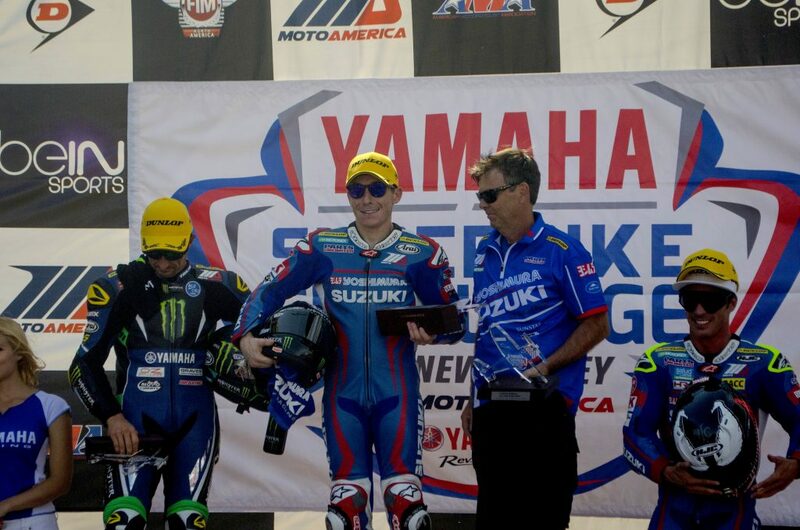 Hayden grabbed the victory in race one aboard his Suzuki GSX-R1000 Superbike by just .104 of a second. It marked his second win of the season. Elias was a hard-charging third after qualifying eighth and starting from the third row this was his sixth win this season. ‹ CHR raffle winner Dan Edmondson enjoys the Prize!